The first quarter of 2015 is off to an exciting start, with exciting new condominium communities and additions coming onto the market from our clients at Baker Real Estate Incorporated. 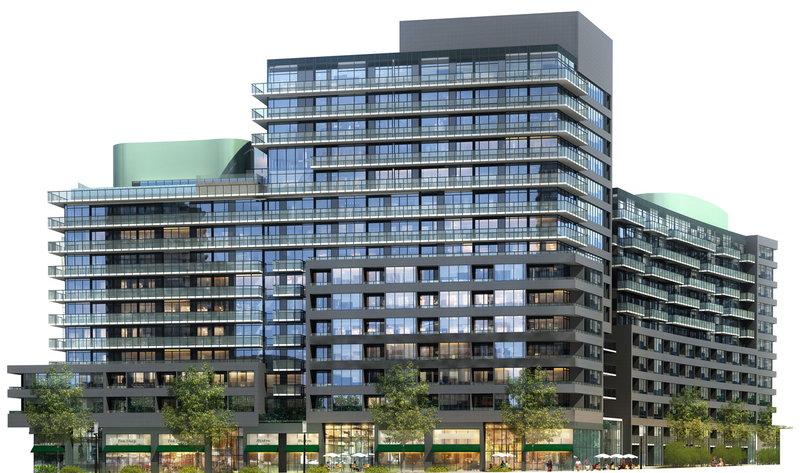 Let’s begin with The Colours of Emerald City, the newest three-condominium phase at ELAD’s highly successful, master-planned North York community. Situated at Don Mills and Sheppard Avenue, Emerald City offers one of the best locations in the city, steps from subway access and close to fabulous Fairview Mall. Visit http://www.emeraldcitylife.ca. Last year, Solmar Development Corp. launched sales at Park Avenue Place at the southeast corner of Jane Street and Rutherford Road – adjacent to the incredible Vaughan Mills shopping centre. One of Canada’s largest, this centre is like a city unto itself, with everything from leading fashion and lifestyle brands to restaurants, services and even LEGOLAND Discovery Centre. Solmar is releasing Phase 2 of Park Avenue Place, which is also close to schools, the new subway extension and major highways. The second residence in the community will be every bit as enticing as the first, with gorgeous suite designs, high-quality finishes and access to wonderful amenities. Visit http://www.parkavenueplace.ca. Watch for the Grand Opening of The Link Condos + Towns Phase 2 in Burlington this spring. ADI Development Group’s first phase has been phenomenally successful. The community’s one-of-a-kind location is the inspiration for its name. Situated at Dundas Street and Sutton Drive, The Link is “linked” to Bronte Creek Provincial Park. With the condominium market in Burlington being fairly new, response to this luxurious residence has been outstanding. 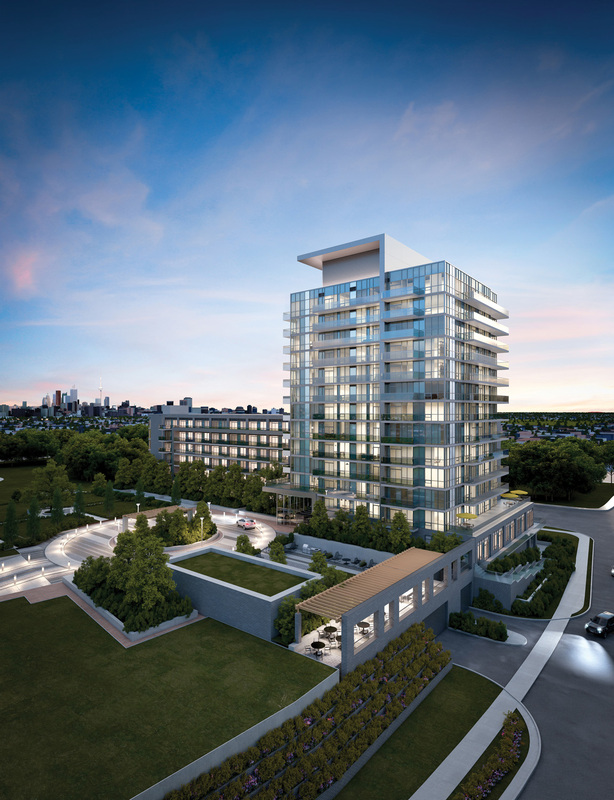 Visit http://www.adidevelopments.com. If Toronto’s Downtown East is your residential destination, consider SigNature Communities’ East United Condos at Berkeley and King, coming soon. With a Walk Score of 97, a Transit Score of 100 and a Bike Score of 90, this condo community is ideal for people of all ages and lifestyles – anyone who appreciates convenience. In fact, on the Walk Score website, this location is considered a Walker’s and Biker’s Paradise! Live minutes to the Financial District, major hospitals and the Entertainment District. You will find a variety of suite sizes and configurations from SigNature Communities. Register now at http://www.signaturecommunities.ca. With tickets now available for the 2015 Pan/Parapan American Games, sales are really heating up at Canary Park Condominiums, the newest phase in Canary District, which will become the CIBC Athlete’s Village during the games. Dundee Realty Corporation and Kilmer Van Nostrand Co. Limited’s award-winning, 35-acre Downtown East urban village is next to 18-acre Corktown Common Park in Toronto’s Downtown East. Located at Front Street and Bayview Avenue, Canary Park is a mid-rise residence close to a wealth of wellness-themed amenities. Visit http://www.CanaryDistrict.com. 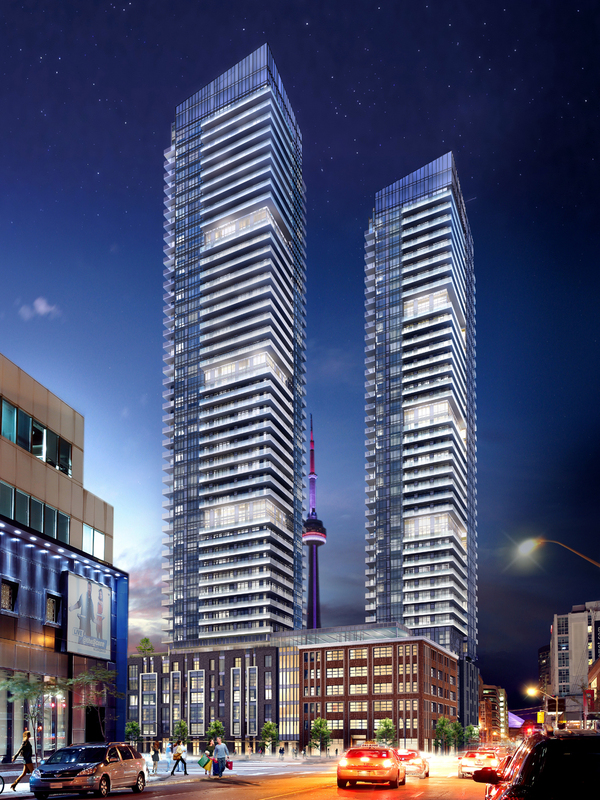 The Rosedale on Bloor Condos by Easton’s Group of Hotels is coming soon to 387 Bloor Street East in Toronto, offering two towers with handy retail venues at their bases. Location will be a huge draw here, as the condominium is only a three-minute walk to the Bloor Danforth Subway, five minutes to Yonge and Bloor, six minutes to Yorkville – and residents will be able to stroll to both the University of Toronto St. George campus and Ryerson University in under 20 minutes. Discover an array of amenities and a variety of floorplans in Easton’s Group’s design. This spring, construction will begin on Tower Hill Developments’ highly successful 2221 Yonge, which will now feature 12 new floors, taking the building to 58 storeys. The all-star design team for this outstanding condominium includes Manhattan-based Pei Partnership Architects and Toronto’s Quadrangle Architects for the striking exterior, and Munge Leung for the chic interiors. Buyers appreciate luxury in a midtown location. Visit 2221 Yonge in person; check out the website at Visit http://www.2221yonge.com. ≈ Comments Off on BRING ON 2015! I attended a recent industry event, and I came away with renewed vigour about the new condominium market across the GTA in 2015. Speakers included some of the most respected experts in their fields, and combined with the recent RealNet Canada Inc. statistics released by BILD, we have a lot to look forward to as the year progresses. Despite the naysayers in the media, the fundamentals are strongly in place for a great 2015. According to Benjamin Tal, Deputy Chief Economist at CIBC World Markets Inc., interest rates here in Canada will likely not increase this year – and may even go lower! He said that the current oil price scenario is actually helping a lot of Canadians, and they are already seeing some taking their savings and paying down the principal on their mortgage debt. In fact, many are making other mature decisions to pay down their debt loads in other ways. He also mentioned that the U.S. economy is moving in the right direction, and although their interest rates may increase in June, ours will likely not be affected by the rise down south. A representative from CMHC spoke about Millennials, consumers between the ages of 20 and 34, choosing condominium living, and not just for affordability. They like the carefree lifestyle that condos bring. CMHC expects the rental market in the GTA to grow from strength to strength, and let’s face it: the rental market IS the condo market. Vacancy rates have dropped to 1.3 per cent in condos, and Millennials will pay to live in new buildings. In fact, according to CMHC, we do not have enough supply in the condominium market. From 2012 to 2036, it is expected that 2.4 million more people will move into the GTA, and they all need roofs over their heads. Remember, 2014 was our third-strongest year ever for condo sales in the GTA, up 38 per cent over 2013. High-rise is now consistently taking more than 50 per cent of the market. Prices will go up, but are not expected to spike. If you have ever thought about buying a condominium, NOW is the time to do it. Have you heard the news? In January, the Economist ranked Toronto the world’s best city to live in! Three dozen major cosmopolitan areas were considered, from Montreal to Chicago, New York to Paris, Hong Kong to Rio de Janeiro, and Abu Dhabi to Seoul. The Economist ranked them by several interesting indexes such as livability, global food security, safety, business environment, democracy and cost of living. Toronto placed in the top 10 in nearly all of the categories. This is exciting news, but not a surprise to me. Having traveled the world, I know that our Canadian lifestyle is the envy of people from around the globe, and the Greater Toronto Area becomes home to a large percentage of our ongoing influx of immigrants. The Economist rankings show that Toronto is the safest city in North America and the eighth-safest in the entire world. Among the criteria for that category are personal safety, health security, digital security and infrastructure. This wonderful news is the newest of Toronto’s many accolades. When you have a few minutes, visit Toronto.ca and have a look at the City’s World Rankings pages to fully appreciate how many awards and acknowledgements we have received for our quality of life. And how about some more fabulous news? The Economist ranked Montreal the second best city in the world to live in! At Baker Real Estate Incorporated, we recognized that City’s enormous appeal several years ago, when we set up a branch called Immobilier Baker to help sell condominiums there. Like Toronto, Montreal is a beautiful city with superb cultural, entertainment, educational and recreational facilities. Well done, Toronto and Montreal for ranking first and second in the top five, before Stockholm, Amsterdam and San Francisco. Here’s to living in the greatest places on earth!